There will be reports from the President, from the Directors, and from the Treasurer. Our Constitution mandates election of the president, and then election of a Board of Directors of up to eight members. And there will be an opportunity for feedback and input from the members. We urge you to attend this meeting. We need to elect a Board of Directors to do the work of the Association for the coming year. You might consider serving on the Board yourself! We will subsidize meals to $10.00. 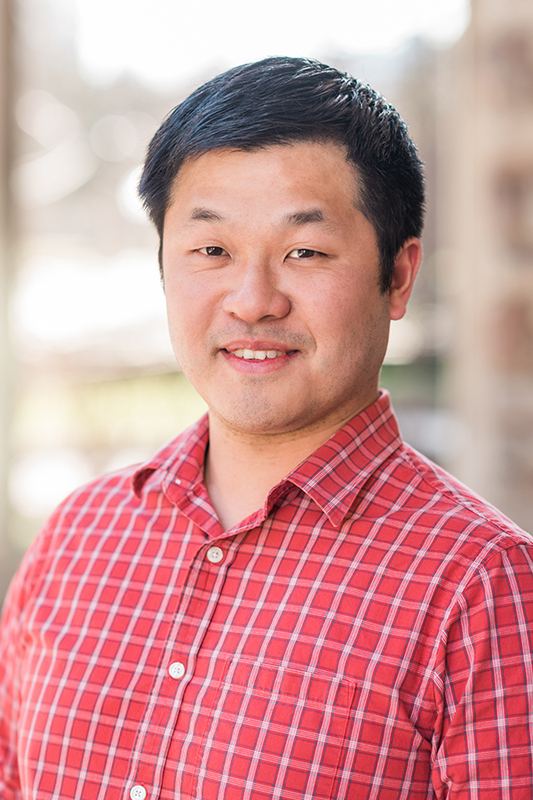 Sean (Jy-Shyang)) Chen is a research scientist and engineer working in medical imaging and devices for computer-assisted medical procedures. 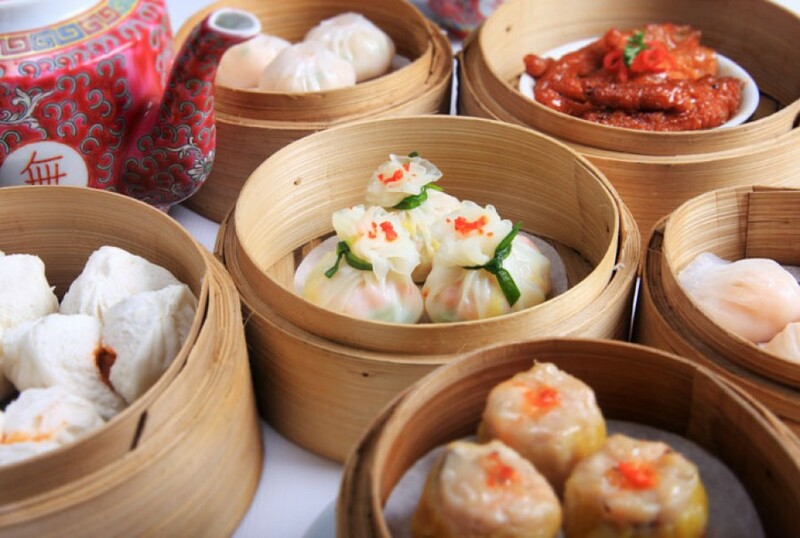 He has a lifelong interest in food and Chinese cuisine. 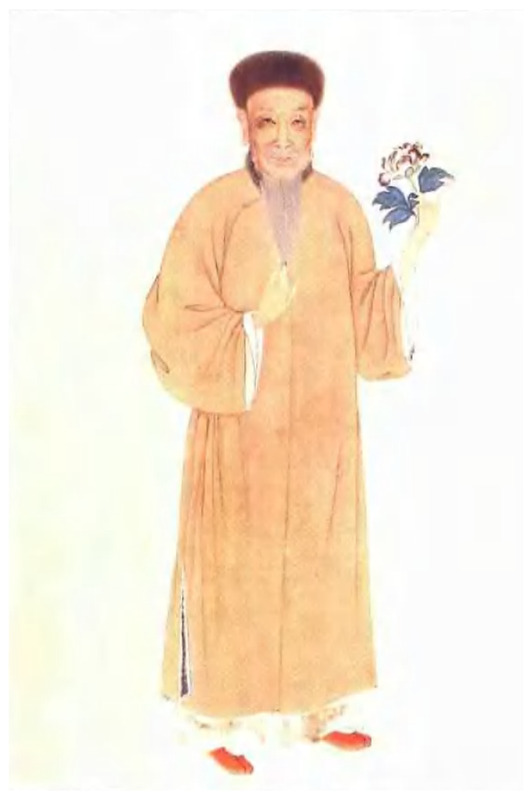 It is from these interests that he found out about the Suiyuan Shidan (Recipes from the Garden of Contentment). He taught himself to read classical Chinese in order to translate it section by section while he was studying for a PhD in biomedical engineering. 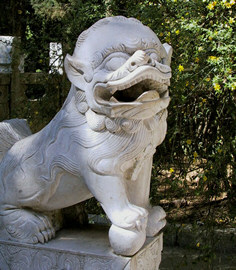 His posts his translations and other scholarly works on Chinese cuisine on his blog: www.wayoftheeating.wordpress.com . Suiyuan Shidan is Manual of Gastronomy, a classic 18th century cookbook by Qing dynasty poet Yuan Mei. 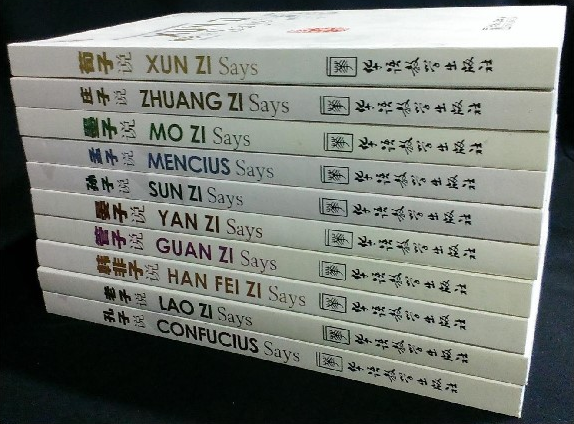 Sean Chen’s translation has been published; you can find it on his website above. 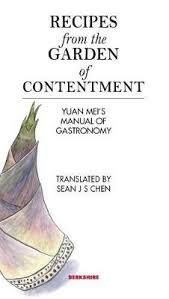 The bilingual book introduces Chinese culinary philosophy as well as famous dishes. Sean Chen’s talk will be on the story behind the translation and what things one can learn about Chinese gastronomy and Chinese cuisine from the work. 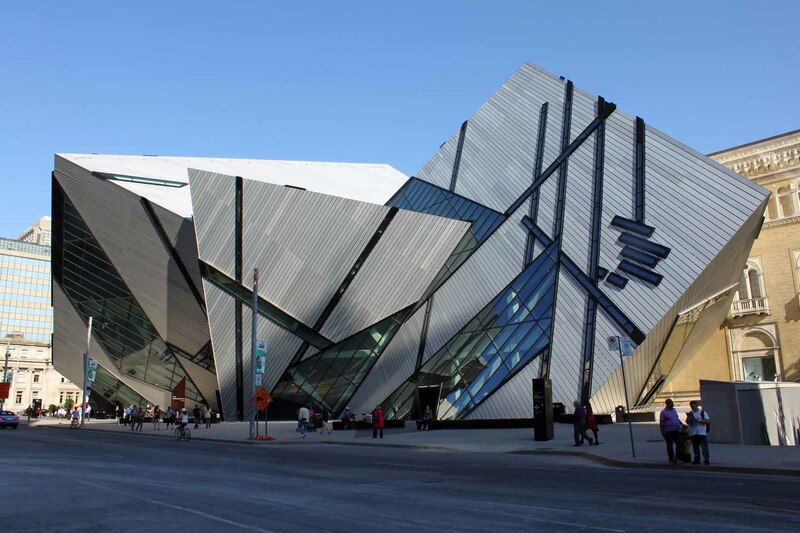 On Sunday, March 3, at OISE, 2:00 pm, room 5150, we were pleased to present Dr. Shen Chen, Vice President and Senior Curator, Royal Ontario Museum. He is the Bishop White Chair and is responsible for research and management of nearly one million of the museum’s renowned collection of art and culture. 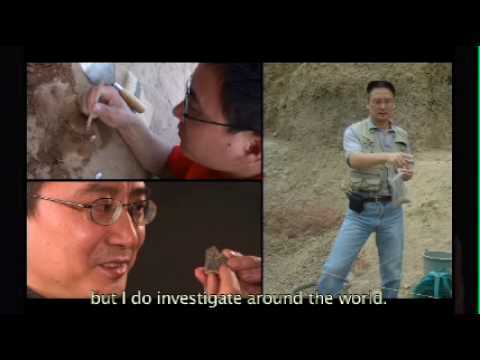 Born in China, with a degree in archaeology (Wuhan), an MA from Tulsa and a PhD from the University of Toronto. 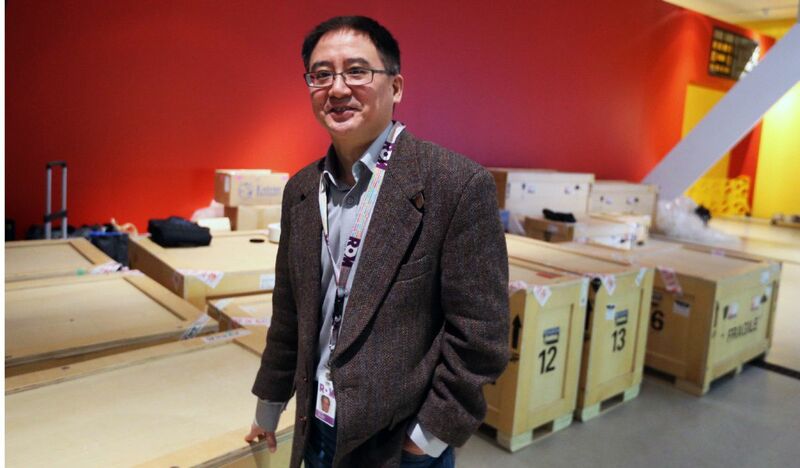 Dr. Chen is eminently qualified to speak on the topic Navigating Cross-cultural Collaborations: Cultural Exchange via Museum Exhibition between China and Canada. 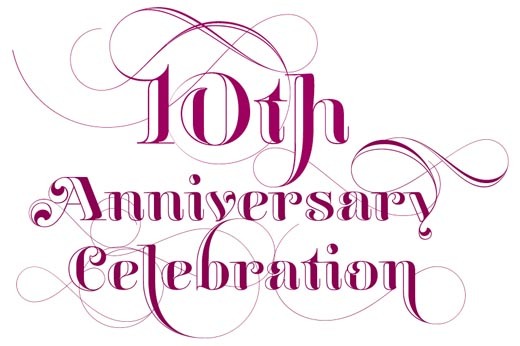 Saturday, February 9, 2019 - 4:00 P.M or 6:30 P.M. This will be our fifth year at Downsview United Church. 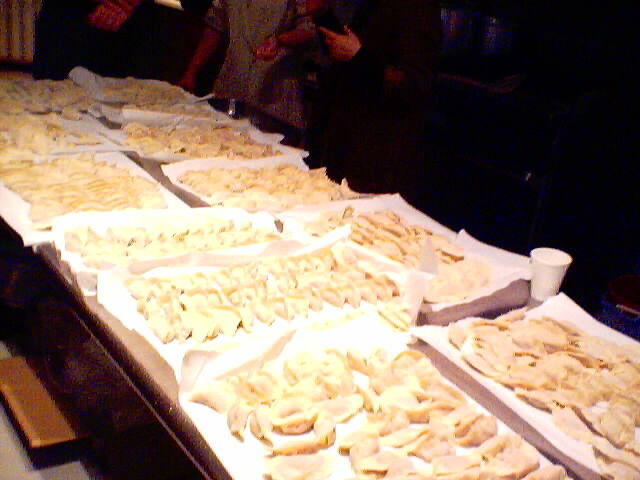 Last year forty people came, made jiaozi, and dined on them. Downsview United Church is at 2822 Keele Street, a couple of blocks north of Highway 401. If you drive, there is free parking. Or you can take TTC Bus 41 from the Keele Station. It is traditional to serve jiaozi at Chinese New Year. 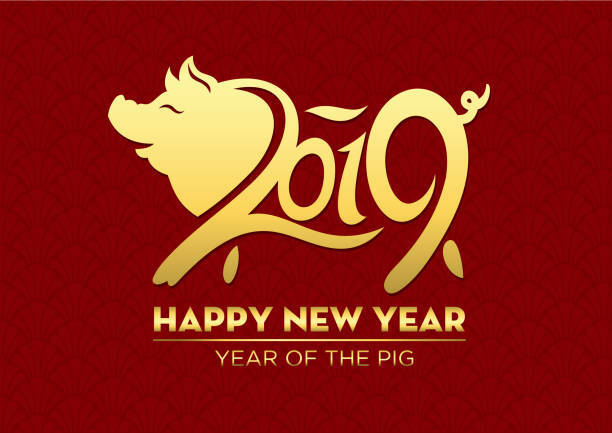 Join our celebration the end of the Year of the Dog and the beginning of the Year of the Pig. 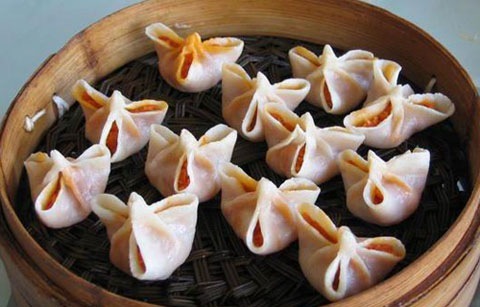 The actual date of the New Year is February 5, the new moon.. Jiaozi is the Chinese word for dumpling(s). Our recipe includes ground pork, ginger, cabbage, scallions and spices. A spoonful is wrapped in rolled noodle dough, many spoonsful in many wrappers, sometimes artfully, sometimes not quite so nice. Boil until just tender. And serve steaming hot with a mix of vinegar, soy sauce, sesame oil and optional hot bean sauce (toban djian). Come at 4:00 pm to help prepare the jiaozi. If you have not done so before, it’s fun to work with others in the kitchen while learning how jiaozi are made; if you are experienced, you can show others. You are most welcome to come and just dine at 6:30 pm. This will be a very pleasant afternoon and evening. It has been our best event of the year and a great time for children. Do join us. Tickets are only $10. Reservations are required so that we can purchase enough ingredients! Sunday, November 18, 2018 - 2:00 P.M. 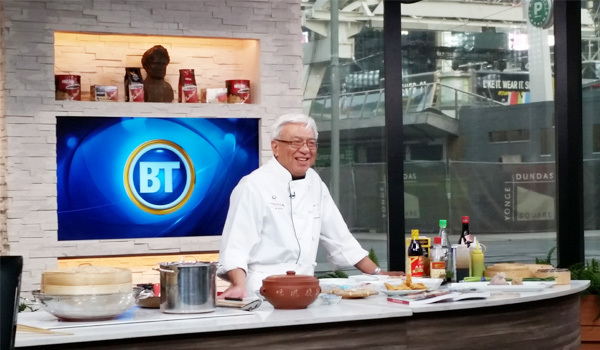 Professor Chef Leo Chan spoke about the art and culture of regional Chinese cuisine. 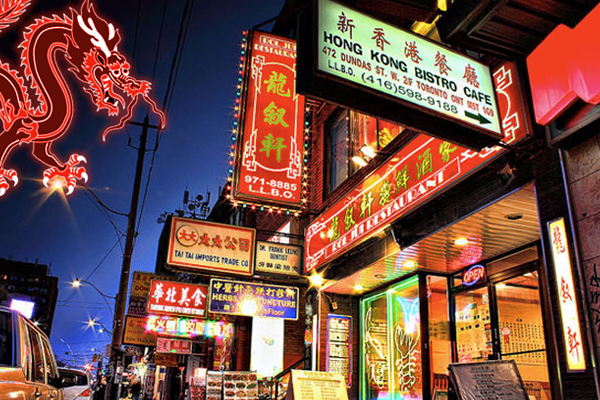 Those who attended were transported back in time to experience food memories intricately linked with successive waves of immigration in the current Toronto Chinatown scene. 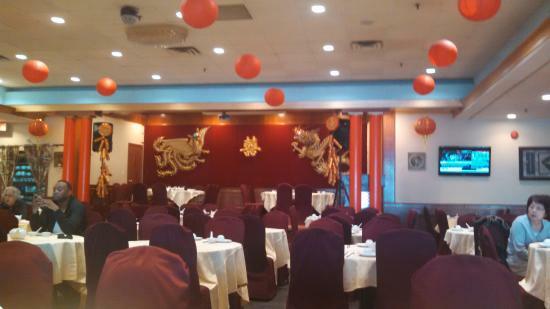 The talk explored the ever-growing Chinese food community. It is a journey in search of lotus roots, the culinary roots sprouting from rich and ancient traditions to modern Chinese cuisine for the next generation of food lovers. Does he look familiar? Yes, as he had numerous media appearances as Guest Lecturer, Television and Radio Guest Host on Breakfast Television, City TV, CTV Canada AM, Telelatino Network, Fairchild TV, CHIN Radio, OMNI TV, Canadian Chinese Media Network WOW TV and much more! Our meeting this Sunday, October 28, at OISE is cancelled. The Doug Ford government abruptly cancelled three university campuses, including York University’s Markham Centre campus. 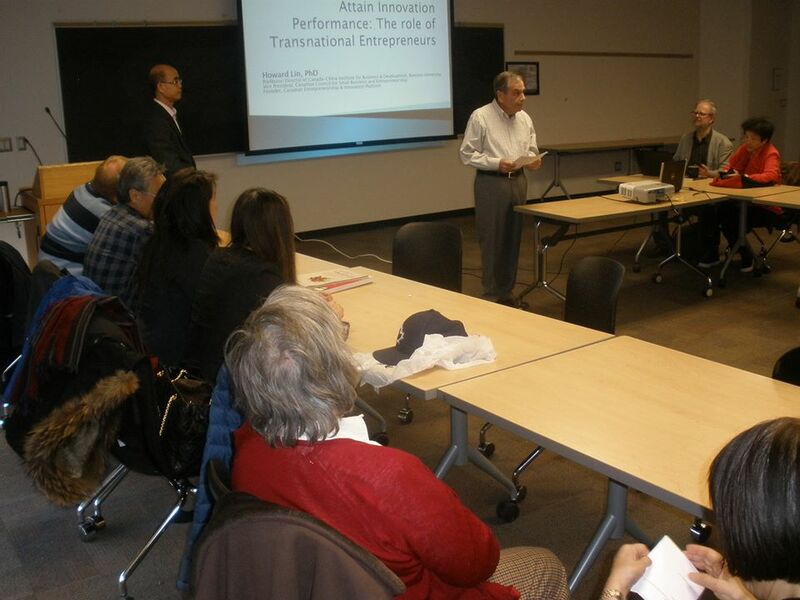 The Markham Campus was to have been the subject of Dr. Rui Wang’s talk on Sunday at OISE. 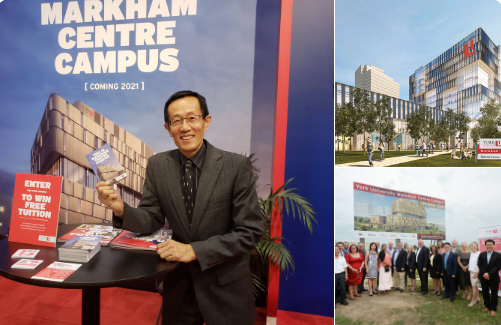 "With the unexpected announcement from Ontario Government tonight to cancel 3 University Campuses, including Markham Centre campus, I cannot deliver my talk about Markham Centre campus on October 28 until all unanswered questions are answered. Sorry for this unfortunate late notice. 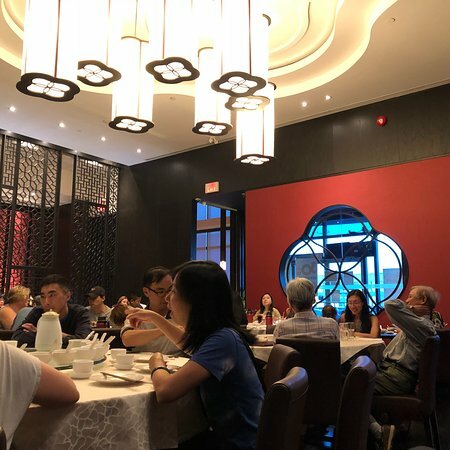 TCCFA's 2018/19 season opened with our Annual Fall Banquet at Asian Legend restaurant, 900 Don Mills Rd. just south of Lawrence Avenue. Thanks to everyone who joined us, including the Consul General Han Tao. 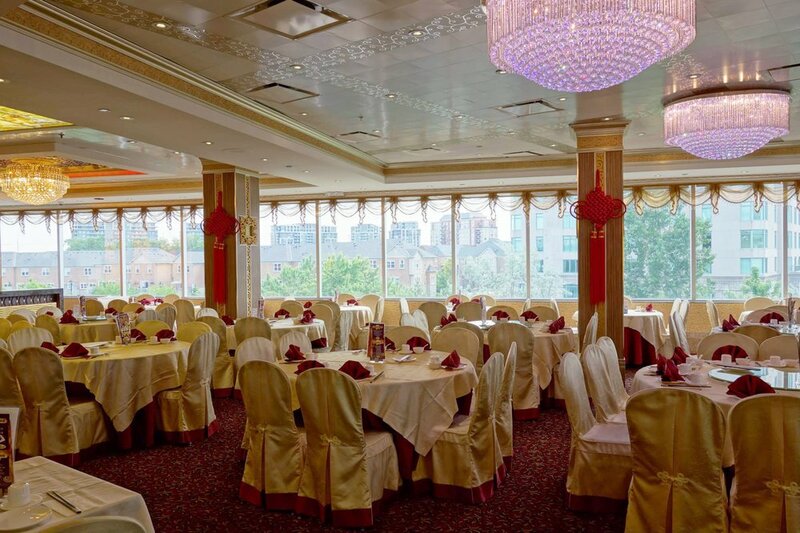 To live up to their motto of "Northern Flavours with a Traditional Style", Asian Legend continually hires reputable mainland Chinese chefs to fine tune and perfect theirr offerings for the enjoyment of their growing customer base. 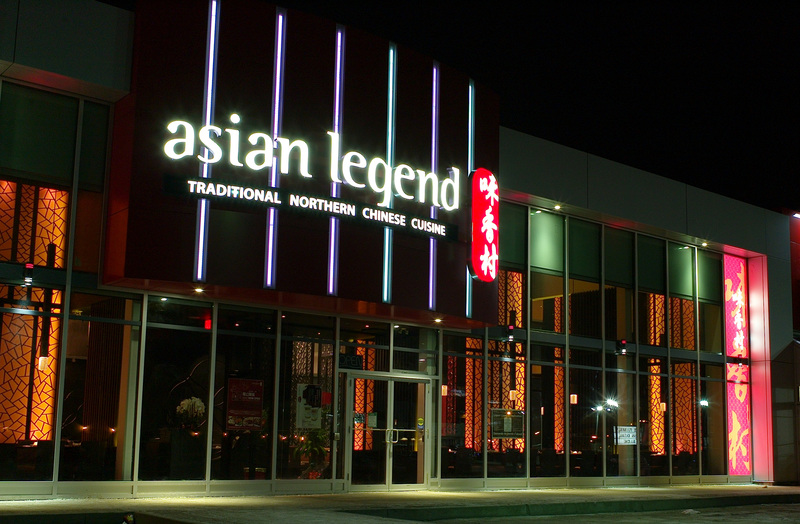 Asian Legend's decor blends Western modernity and traditional Chinese motifs, which provides diners with a comfortable yet nostalgic setting for their dining experience. 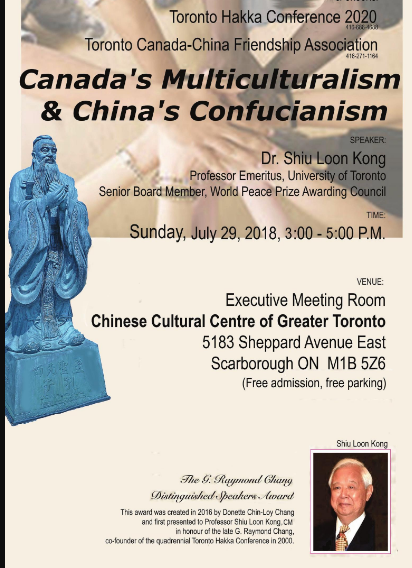 On Sunday, July 29, TCCFA and the Toronto Hakka Conference organized a talk by Shiu Loon KONG. We thank all of our guests who came out for this very insightful presentation. We will see everyone at our Annual Fall Banquet and convey our best wishes for a very relaxing summer. 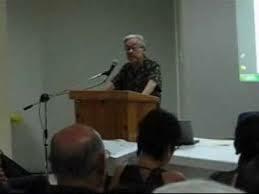 Dr. Kong is a University of Toronto Professor Emeritus who received his PhD from the University of Ottawa. He designed the Canadian pavilion concept of Expo 67 with Marshall McLuhan and Harry Parker. With Trudeau, and others, he formulated the concept of Multiculturalism and citizenship education. 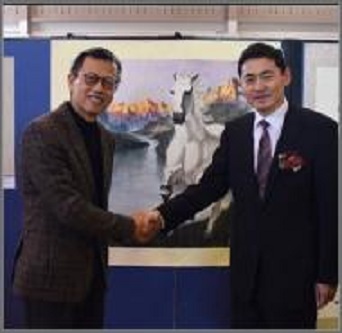 He helped to engineer the diplomatic relations between China and America, and between China and South Korea, and is currently engaged in the Reunification dialogue of North and South Korea. Professor Kong combines a truly outstanding insider’s knowledge of recent Canadian history, and of events in the Far East. On Sunday May 27, Professor Bob Adamson gave a presentation entitled: Barbarian as a Foreign Language: English in China. 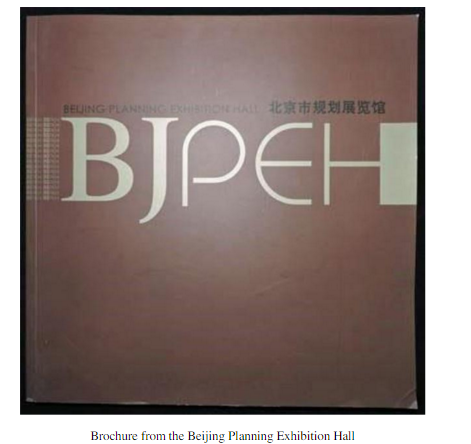 This was an overview of the shifting role and status of the English language within social, economic and political contexts in China from a historical perspective. We thank Professor Adamson for his brilliant presentation and also those who attended on Sunday afternoon. 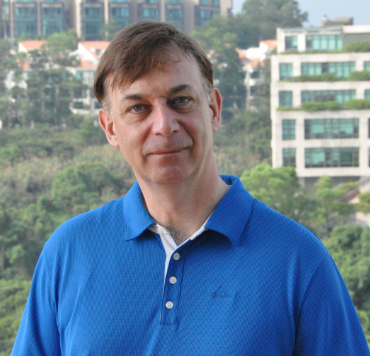 Bob Adamson is Chair Professor of Curriculum Reform at The Education University of Hong Kong. 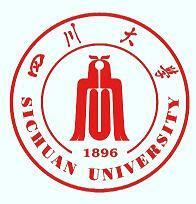 He is a consultant on English language curriculum development to the Ministry of Education in China. 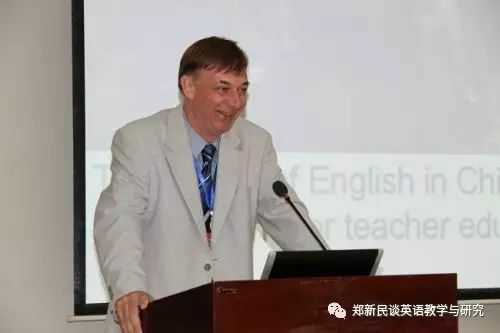 He was a member of the team that produced the Junior English for China and Senior English for China textbook series, used by approximately 400 million students. You can view his profile at https://oraas0.ied.edu.hk/rich/web/people_details.jsp…. In 2013, he was the first foreigner to be elected to the Standing Committee on Teacher Education and Professional Development, National Association of Foreign Language Education of the People’s Republic of China. Our constitution mandates election of the President, and then election of a Board of Directors of up to eight members. After that, there is an opportunity for feedback and input from the members. We congratulate Michael Copeland on his re-election as President of the Association and we also congratulate the new Board members who will serve for the 2017-18 season. Everyone who came out enjoyed a wonderful dinner and even more wonderful conversation! 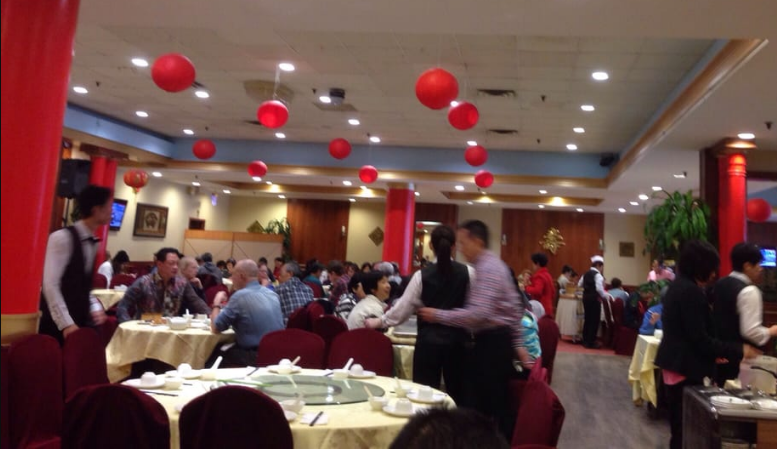 The Dim Sum King has been a favorite location for our Annual General Meeting and we thank them for their hospitality and service. In 2010, China’s Gross Domestic Product (GDP) surpassed that of Japan whose economy had been second largest in the world behind the USA. Some time in the late 2020s, China’s economy will very likely be greater than the USA’s. 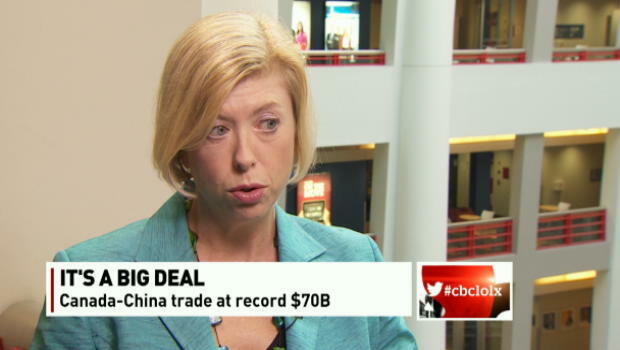 Their larger GDP will inevitably bring Canada greater trade, more exports, more imports, to and from China. Just how much more, and how to structure that trade so we gain most benefit, in the short, in the long run? 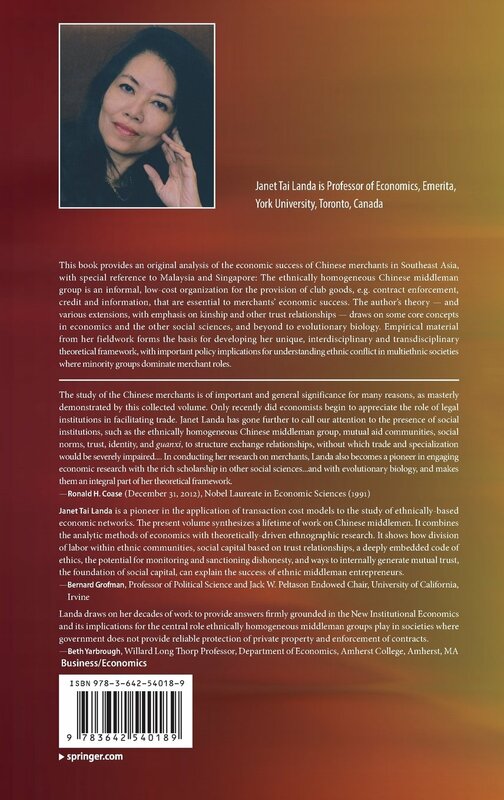 On Sunday March 4, Prof. Howard Lin will speak on Transnational Entrepreneurship as Agent for Innovation Collaboration between Canada and China. Born in China, Howard Lin's undergraduate and master’s degrees were in China and his doctorate in the United States. He spent a few years in the countryside during the Cultural Revolution, and then worked in a factory in Beijing until it ended. He was a member of the first class when Chinese universities reopened in 1977. 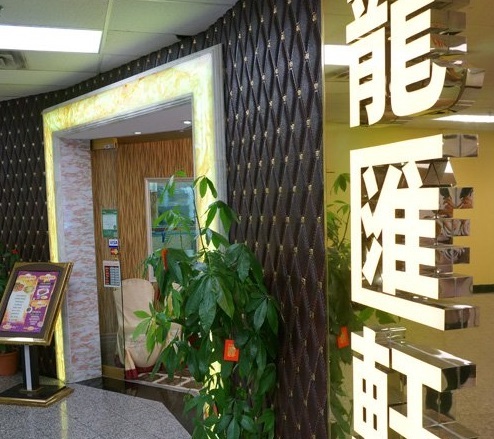 Professor Lin has extensive experience in international business. After receiving a MA in Economics, he started working at the Bank of China’s headquarters in Beijing, rising to economist with a focus on the Bank’s relationships with major banks in U.K. and Scandinavia countries. He is now Professor of International Business & Entrepreneurship and the Co-Director of the Canada-China Institute for Business & Development at Ryerson University’s Ted Rogers School of Management. He previously taught at Penn State University and the University of Windsor. China’s economy’s rise to world’s largest GDP will highlight its Superpower status, and, with that, much more influence on the world’s stage. How will the USA react to China’s increased impact on world politics and culture? To the implicit reduction of their own power? In this era of great uncertainty in American politics, with them turning inward, it’s hard to be optimistic. The 2018 Chinese New Year is February 16, marking the end of the Year of the Rooster and the start of the Year of the Dog. TCCFA anticipates the holiday with our annual Jiaozi Party on Saturday, February 3 at Downsview United Church (2282 Keele Street). 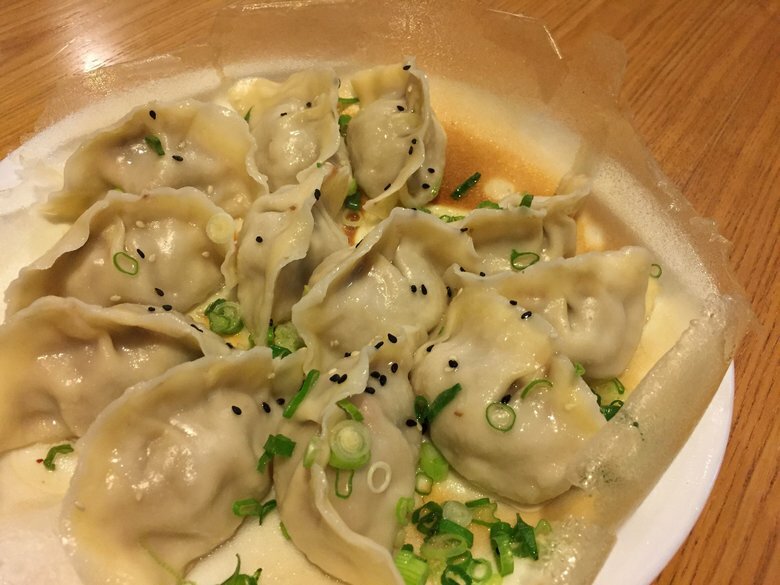 Come at 4:00 pm to help make the dumplings, or to learn how to make them or just come for dinner at 6:30 pm. This remains one of our most popular events and there is plenty of free parking at the Church. Jiaozi is the Chinese word for dumpling(s). Our recipe includes ground pork, ginger, cabbage, scallions and spices. A spoonful is wrapped in rolled noodle dough, many spoonfuls in many wrappers, sometimes artfully, sometimes not quite so nice. Boil until just tender. And serve steaming hot with a mix of vinegar, soy sauce, sesame oil and optional hot bean sauce (toban djian). 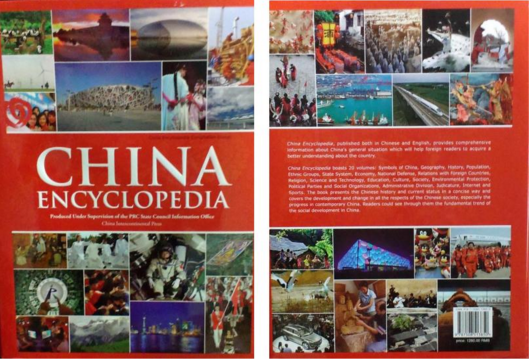 Fifty Years of Relations with China: Myths and Realities. On Sunday, November 12, at 2:00 pm, at OISE, room 5150 Professor B. Michael Frolic spoke about Fifty Years of Relations with China: Myths and Realities. The talk contained elements which will come out in his forthcoming book on Canada-China relations. Bernie Michael Frolic is Professor Emeritus, Political Science, York University and Senior Researcher at the Munk School for Global Affairs University of Toronto. Bernie first visited China in 1965. 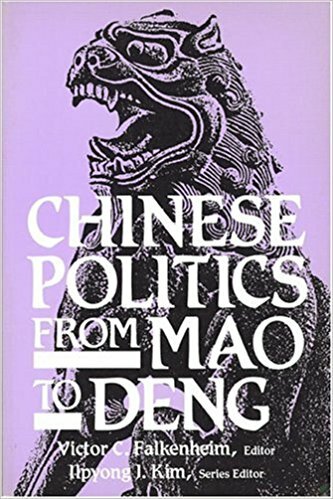 He is the author/editor of Mao’s People (Harvard University); Reluctant Adversaries, Canada and the PRC, 1949-1970 (University of Toronto) (translated as Xin kaiduan, Jianada yu Zhonghua Renmin Gongheguo); Civil Society in China(M.E.Sharpe); Civil Society and Human Rights in Southeast Asia. 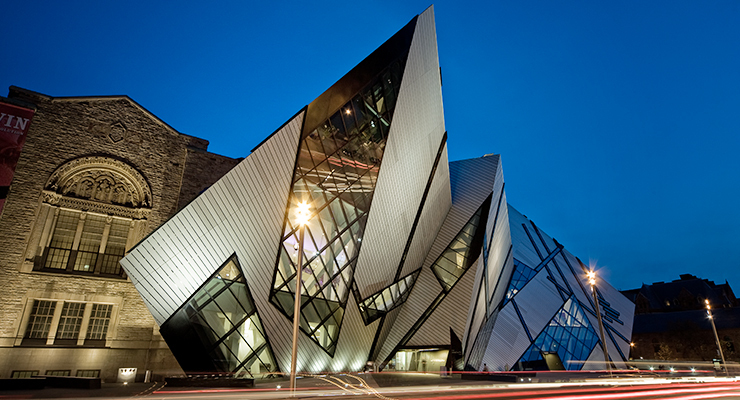 (University of Toronto/York University. 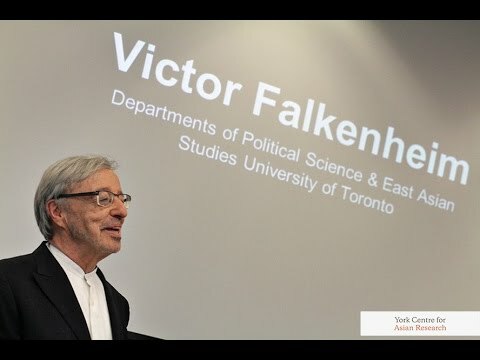 Victor Falkenheim’s talk on Sunday, October 22 is titled: Changing Leadership Patterns in the Xi Jinping Era. (OISE, room 5150, 2:00 pm) The 19th National Congress of the Communist Party of China begins on October 19. The Congress selects the leadership of the Party. There is very little doubt that General Secretary Xi (and President of China) will continue for a second five-year term. The Congress also appoints both the 25-member Politburo and the seven person Standing Committee. 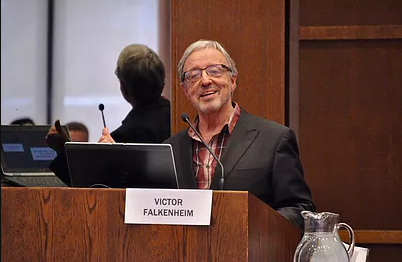 Dr. Victor C. Falkenheim is Professor Emeritus of Political Science and East Asian Studies at the University of Toronto where he has taught since 1972. Educated at Princeton (B.A) and Columbia (MA & Ph.D). Professor Falkenheim has previously served twice as Chair of the Department of East Asian Studies as well as Director of the Joint Centre for Modern East Asia. His research interests and publications center on local politics and political reform in China. He has lectured widely in China and has worked on a number of CIDA and World Bank projects in China over the past two decades. His current research focuses on issues dealing with migration and urbanization. Our annual fall banquet took place on Monday, September 25th and we thank all of the guests who attended. The dinner marked the opening of TCCFA’s tenth year and coincided with the celebration of China’s National Day, October 1. 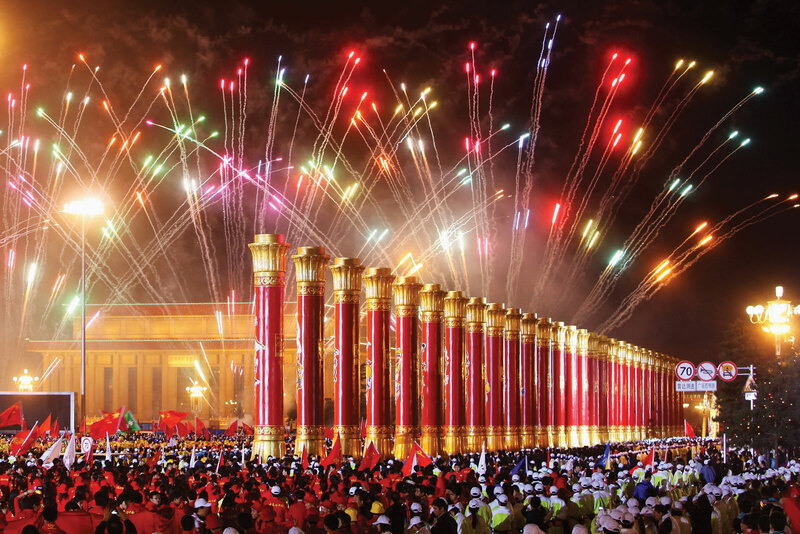 China’s National Day is one of the most important dates of the Chinese calendar. We thank the representatives from the People’s Republic of China Toronto Consulate who attended and joined our TCCFA members for an evening of friendship and fine food! University of Toronto's Stephen Bahry presented his discussion on Multilingualism along the Silk Road: Central Asia and Northwest China. His talk involved One Belt, One Road and how the peoples and languages of Central Asia influence it. 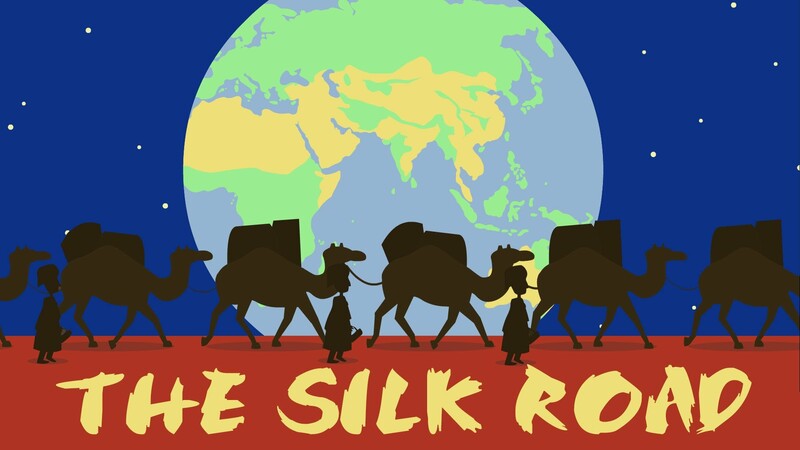 The Silk Road was an ancient network of trade routes that were for centuries central to cultural interaction through regions of the Asian continent connecting the East and West and stretching from the Korean peninsula and Japan to the Mediterranean Sea. We invite everyone to join us as we celebrate the Chinese New Year with our traditional Jiaozi Party! The event this year again takes place at the Downsview United Church where we will welcome the Year of the Rooster! This remains one of our most popular events and there is plenty of free parking at the Church. 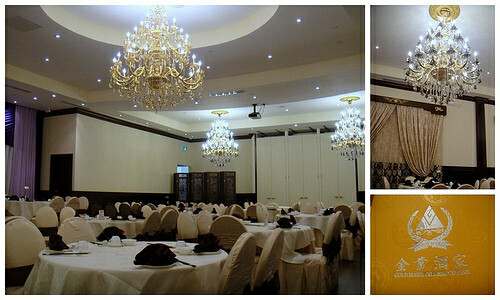 Han worked as marketing director of Chianti Foods and then with the non-profit Canada Shanghai Business Association. Since making the switch to politics, he spent nine years at Queen’s Park serving as Ontario Liberal cabinet minister Gerry Phillips’s MPP liaison, and most recently as a senior adviser of community outreach under then Citizenship and Immigration Minister Michael Coteau. 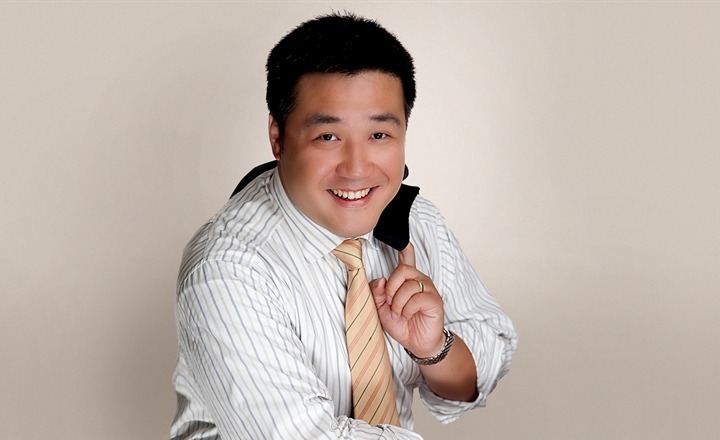 Han Dong ran in the 2014 provincial election as the Liberal candidate in the riding of Trinity-Spadina. He defeated New Democrat incumbent Rosario Marchese by 9,175 votes. He is currently Parliamentary Assistant to the Minister of Training, Colleges and Universities. 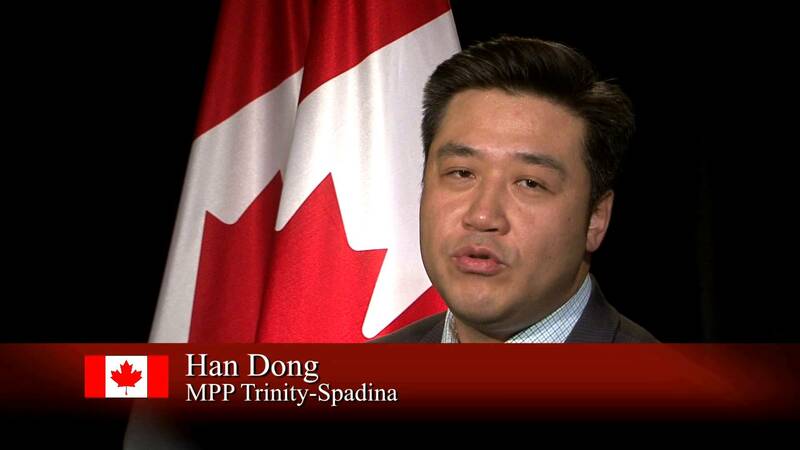 You can learn more about Han Dong at his web site HanDong.onmpp.ca. 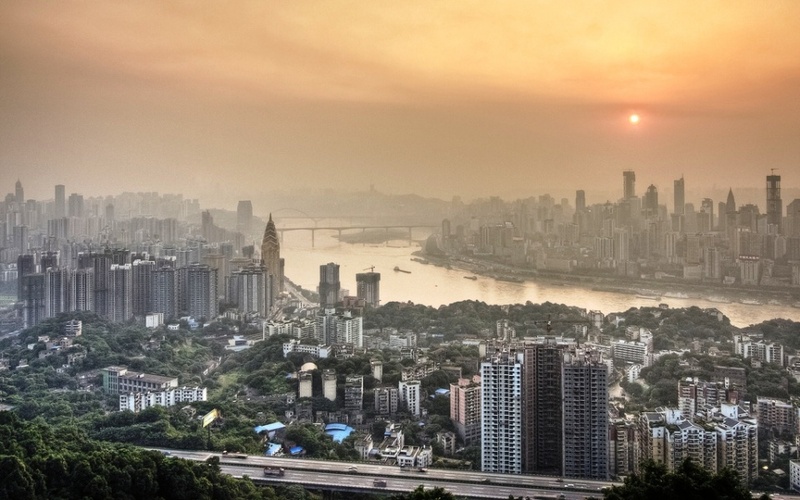 On Sunday October 23, the TCCFA presents Glen Norcliffe, author and Professor Emeritus of Geography at York University, as he presents his book Inside the Fourth Furnace: The Rise, And Fall, And Rise Of Chongqing. This event will take place at the OISE building, located right at Bloor and St. George, at 2:00 pm. 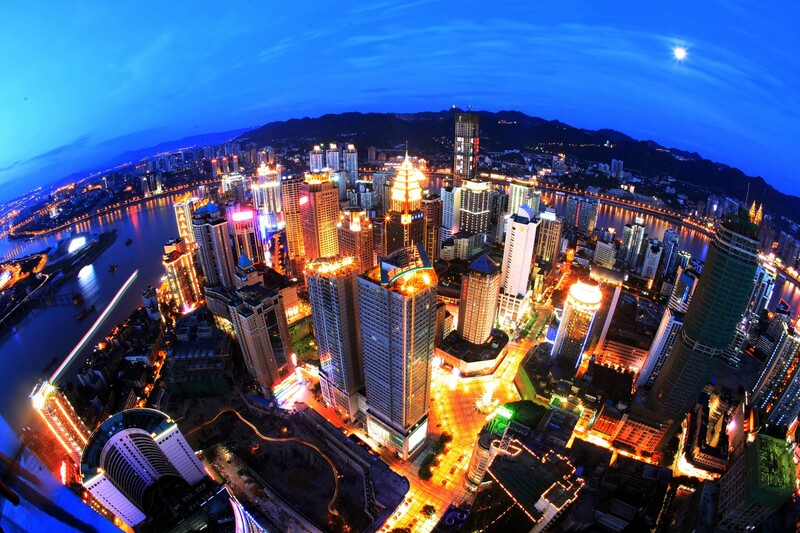 Chongqing formerly transliterated as Chungking, is a major city in Southwest China and one of the five national central cities in China. Administratively, it is one of China's four direct-controlled municipalities (the other three are Beijing, Shanghai and Tianjin), and the only such municipality in inland China. 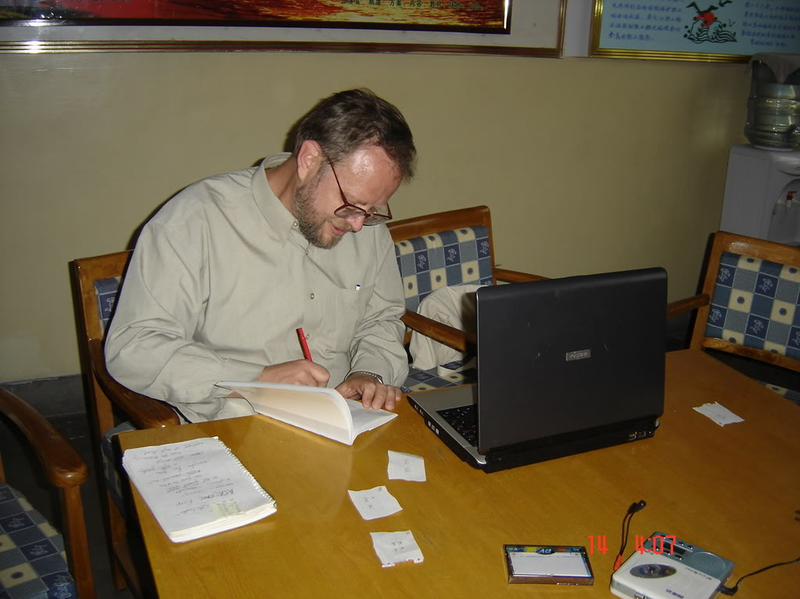 Glen Norcliffe is an economic geography interested in industry, technology and development. 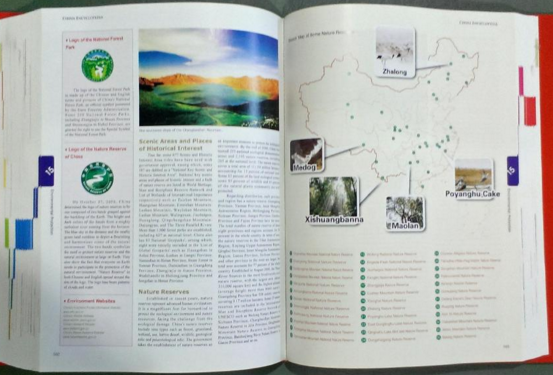 His research over 5 decades has taken him to four continents, Europe, Africa, North America and more recently Asia. His most recent writings concern the industrial renaissance of Chongqing. 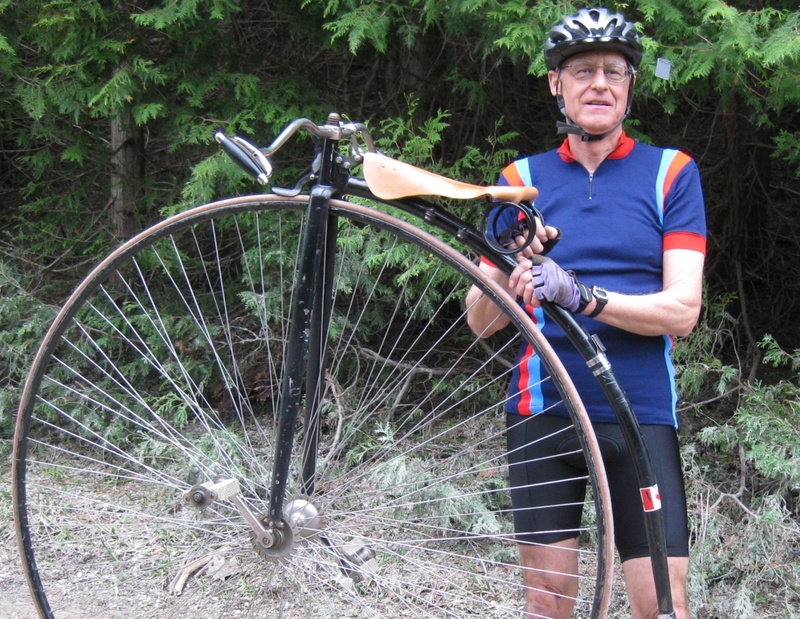 His recent book Critical Geographies of Cycling include chapters on China’s delivery tricycles, and on the Global Supply Chains connecting China’s bicycle manufacturers with Canadian bicycle retailers. 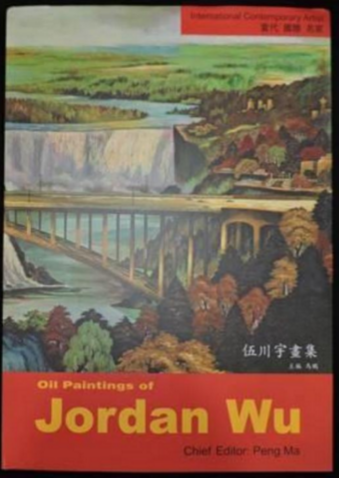 He has also written on the extractive industries in Canada’s hinterland, some of which supply China with resources. In this illustrated talk he will recount the long and turbulent history of Chongqing, relating it to the city’s geographical setting. He will then explain its role as China’s capital during the Japanese occupation, its subsequent decline during the industrial rise of Coastal China, and its re-birth under the auspices of the Western Development Plan, to emerge as one of the World’s largest centres for computer manufacture. This year’s Banquet marked the opening of the 9th year of TCCFA, and celebrated the Chinese National Day, October 1, the 67rd anniversary of the founding of modern China. 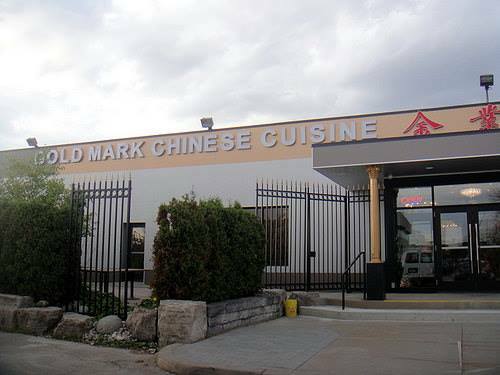 We thank everyone who came down on Monday, September 19 to our Annual Banquet which takes place at 6:30 pm at the Gold Mark Chinese Cuisine in Markham. The menu included Peking Duck, La Soupe de Fruits de Mer, Chicken Crimson Phoenix, Caramelized Ribs, Fried Tiger Shrimp, Braised Mushrooms and Broccoli, Pan-fried Grouper and more! 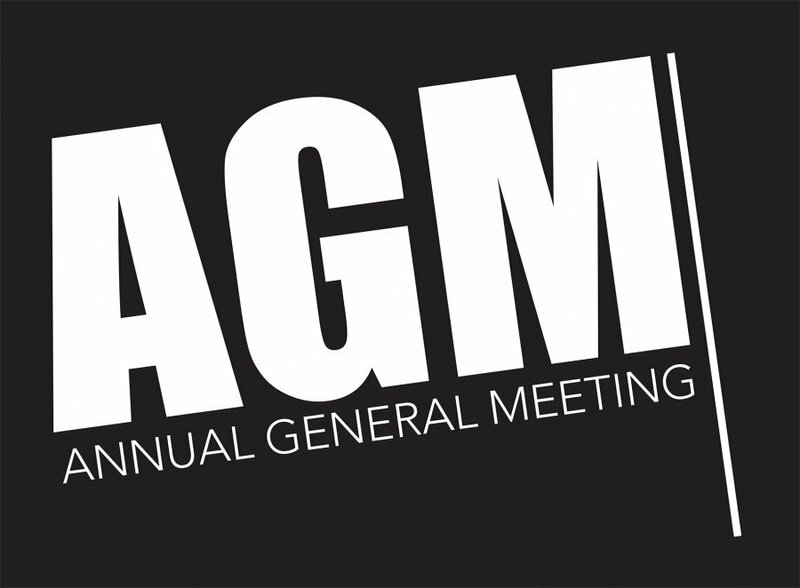 We thank all who joined us on Sunday, April 17 as we held our Annual General Meeting which will included our year-end report as well as the election of the President and Board of Directors for 2016/17. 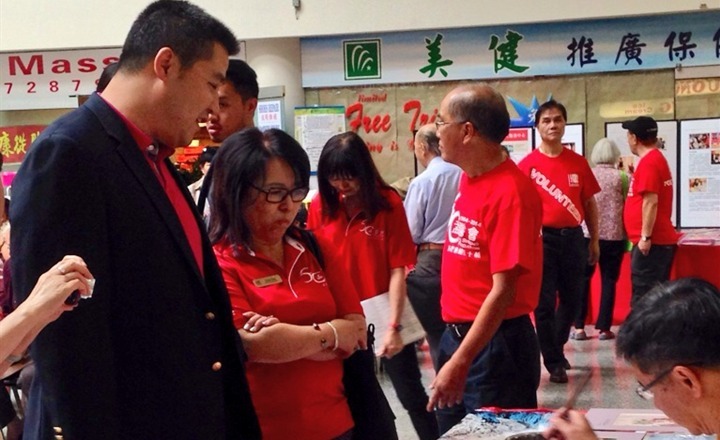 We also held an auction of various select items donated by members of the Federation. We also thank everyone who placed bids on the items in the Silent Auction which followed the AGM. 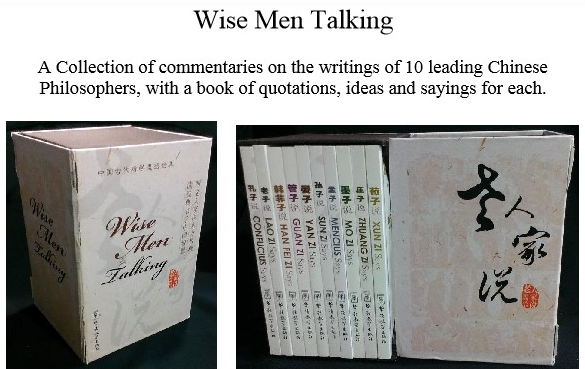 These items included Wise Men Talking, a boxed set of 10 books with quotations, ideas and sayings from leading Chinese Philosophers. On Sunday March 20, we gathered for a 2:00 pm tour of the Royal Ontario Museum’s China Galleries, guided by one of ROM’s docents. Following the guided tour, we visited the new exhibit Made in China: Cultural Encounters through Export Art. Tickets were just $10 and we thank everyone who attended. 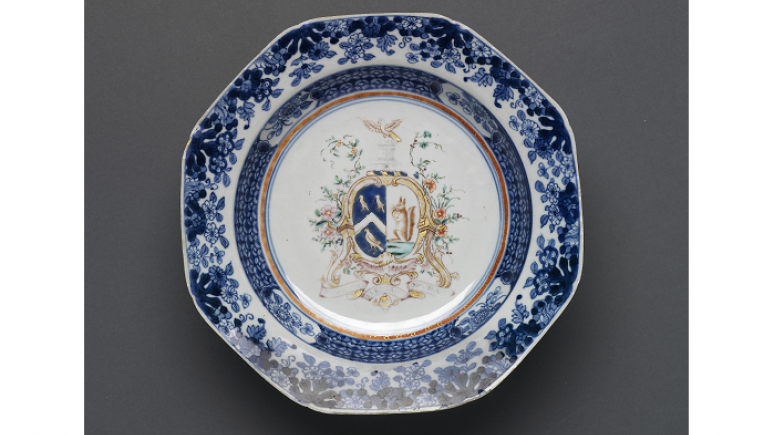 To learn more about the Rom's exhibit, "Made in China: Cultural Encounters through Export Art", you can visit their web site at Exhibitions & Galleries . 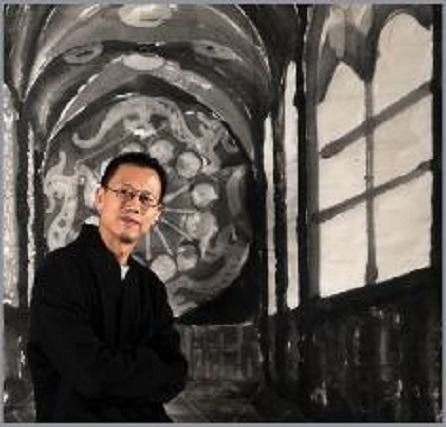 On Sunday, February 28, noted artist Yitong Lok gave an insightful talk about his work. 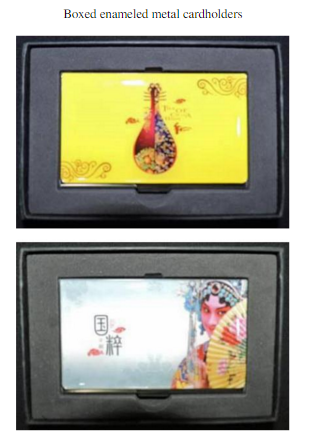 Three generations of Lok family have special ties with many of the great Chinese masters who had changed twentieth century Chinese Art History. Both Yitong and his father have been participating in the turbulence. 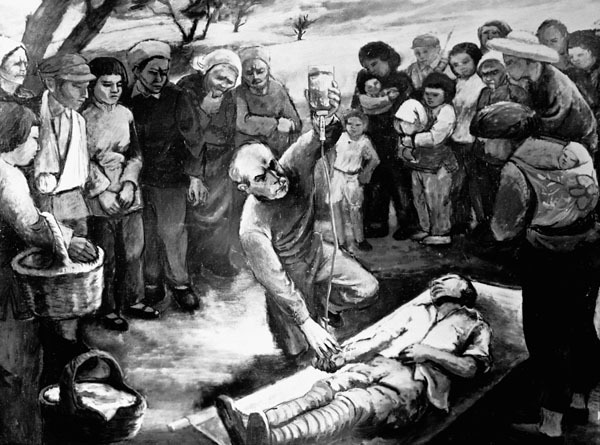 He will show some historical photographs that captured memorable moments as well as their paintings. He will talk about the motivation and concept behind his and his father’s works. 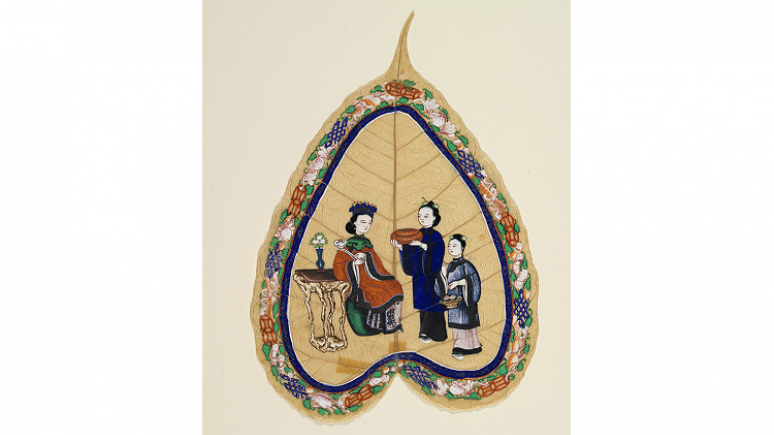 The title of his talk is Changes in 20th Century Chinese Art through Two Generations Practice. After the family settled in Canada, father and son have been carrying on Chinese tradition with Western concept through out their paintings and teachings. Their works have been praised by in both North America and in Asian countries. We thank everyone who joined us as we celebrated the Chinese New Year with our traditional Jiaozi Party.. 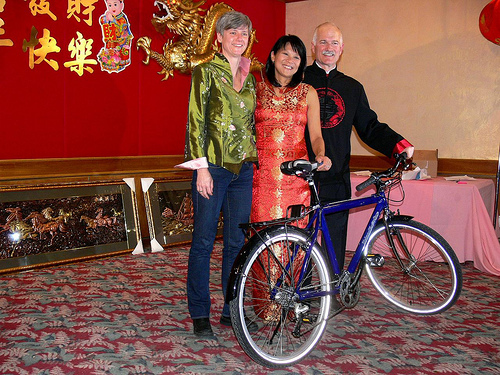 The event this year again took place at the Downsview United Church where we welcomed the Year of the Monkey! Yan is a novelist to boot. She will talk about her book, The Last Love Letter from Norman Bethune, based on a letter dated August 15, 1939, Norman Bethune wrote to Lillian Smith in Toronto, the last known one he wrote. Now I’m coming home for a few months.  I need a lot of money for my work. I’m not getting it. . . . . I am leaving here in November and should be home at the end of February 1940. It’s a long trip south. I have sent you a cable not to come here but to wait in Canada. I must return here and if you are of the same mind, you can come back with me next year. 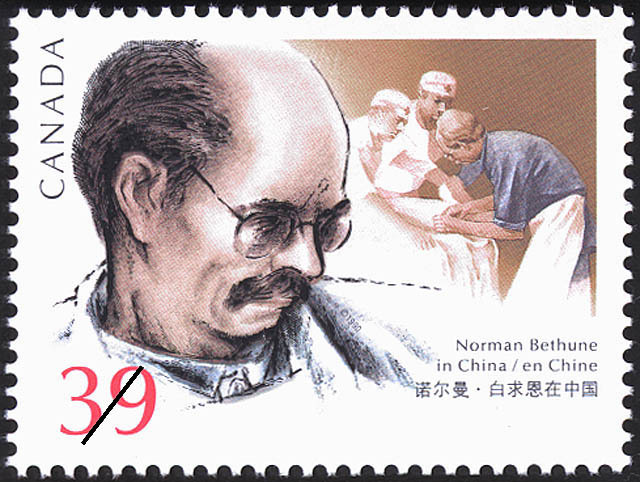 Bethune died on November 12, 1939. 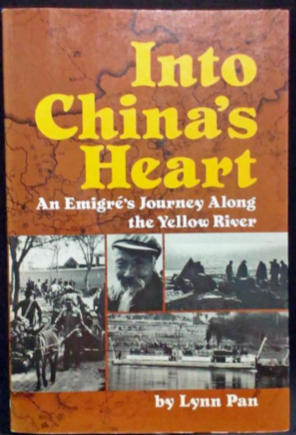 Yan’s novel speculates on how different things would have, could have, been had he lived and returned to Canada. 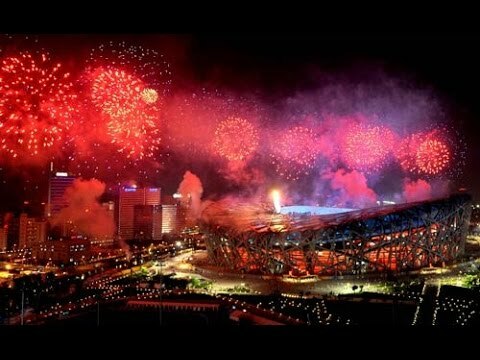 On September 9th, China celebrated the 1945 victory over the Japanese which marked the end of World War 2. 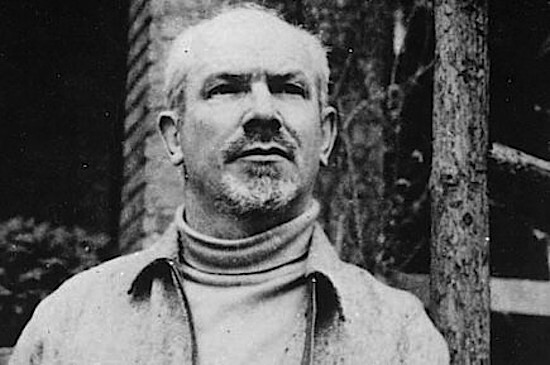 The theme of the event was 'Learn from the Spirit of Norman Bethune'. This year’s Banquet marked the opening of the 8th year of TCCFA, and celebrated the Chinese National Day, October 1, the 66rd anniversary of the founding of modern China. 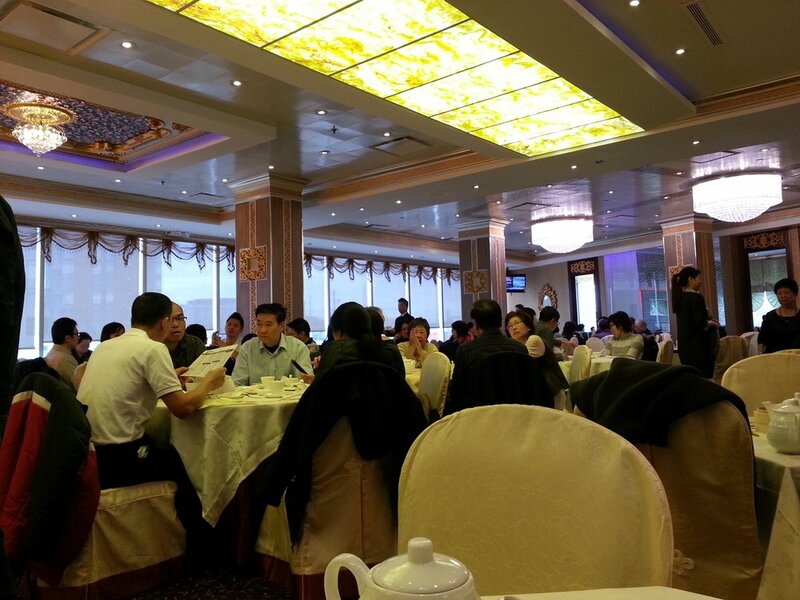 We dined at the KING DRAGON CUISINE and the dinner was enjoyed by our guests and members of the Chinese Consulate. 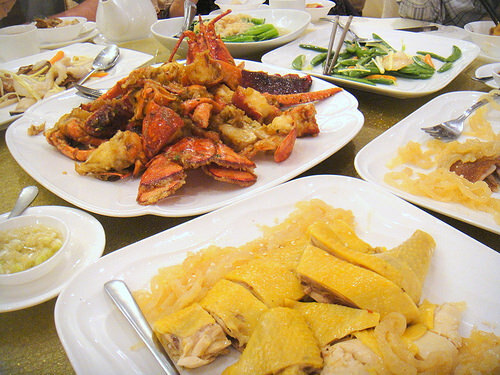 The menu included: Peking Duck, Rainbow Wrap (Duck Meat & Multicolored Veggies in Lettuce Leaf), La Soupe de Fruits de Mer, Seafood Mélange, Farm Cornucopia (Braised King Mushroom, Bamboo Shoot & Greens), Garlicky Phoenix Fried Chicken, Steamed Twin Tilapia. Fried Rice embellished with Shrimp and Lentil, Braised Noodle Minced Meat with Tomato Paste and for Dessert, Almond Cookies and Red Bean Puree. The Chinese have lived in single-extended-family courtyard houses in many parts of China for thousands of years. The earliest courtyard house found in China was during the Middle Neolithic period (5,000-3,000 BCE). 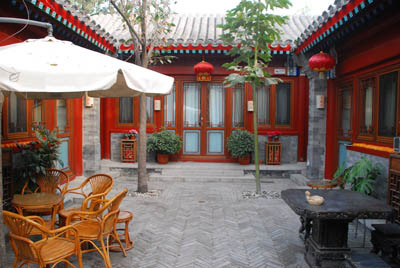 However, the 20th century was a significant turning point in the evolution of Chinese courtyard houses. This presentation provides an overview of this transition and evaluates some of its causes. 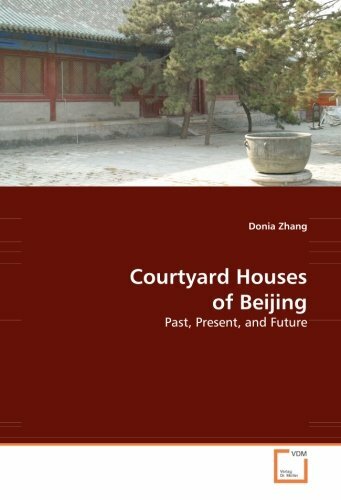 Based on Dr. Zhang’s empirical research and analysis of six multi-household renewed and new courtyard housing experimental projects built in Beijing and Suzhou since the 1990s, she observes that although the new communal courtyards can facilitate some social interactions, neighborly relations are only partially influenced by the form and space of the courtyard housing, and are perhaps influenced even more so by China’s changing and polarizing society as manifested in these specific residents’ socio-economic levels, housing tenure, modern lifestyles, community involvement, common language, cultural awareness, and demographic backgrounds. 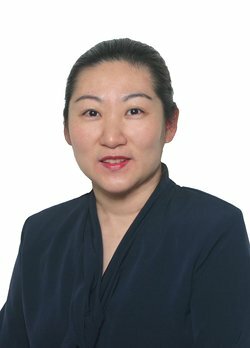 Dr. Donia Zhang is a graduate of Oxford Brookes University (BArch, MA, PhD) in the UK and Brock University (MEd) in Canada. 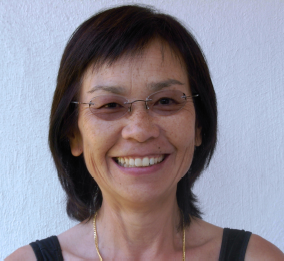 Her area of expertise is in courtyard housing development in China and North America, China’s heritage preservation policies and practices, cultural sustainability, and architectural multiculturalism. 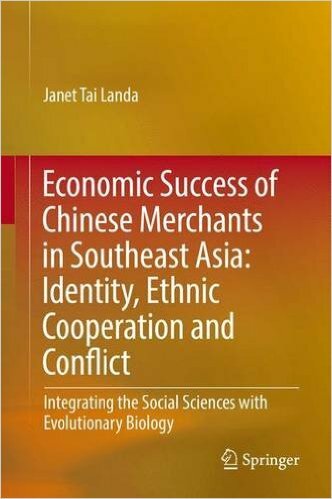 She has published four academic books and numerous journal articles. 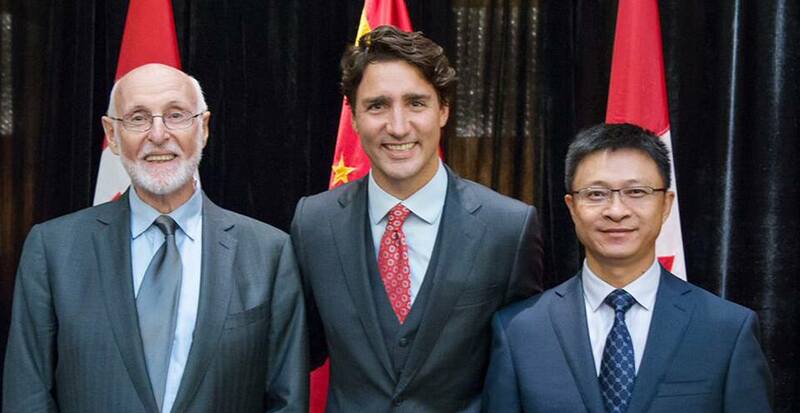 China’s rise is having a direct impact on our prosperity, our health and well-being, and our security here in Canada. The road to achieving many of our middle-power aspirations now runs through the Middle Kingdom. We need to start paying closer attention, says former ambassador David Mulroney. China has become our second largest economic partner, not as important as the US is, but far bigger than all the rest. 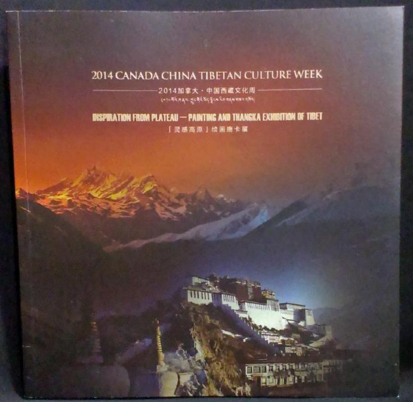 Canada exerts a magnetic pull on Chinese tourists and students. It’s also a popular destination for Chinese home buyers in search of a new life or simply looking for a safe place to park money. An assertive China is challenging the balance of power in the Pacific, and it is more than willing to reach across borders, including Canada’s, to steal technologies and to confront challenges to its ideology. We must do better. 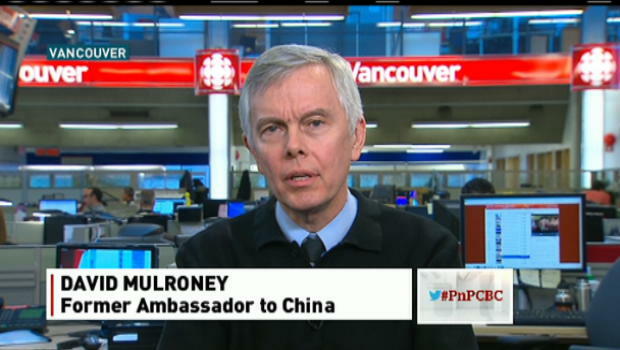 David Mulroney is uniquely positioned to discuss this issue as the former ambassador to China, and as a leader in forming a successful strategy in Afghanistan. He discusses what our challenges in Afghanistan were and how we eventually got it right, and how these lessons can be applied to the future challenges of China, and beyond. 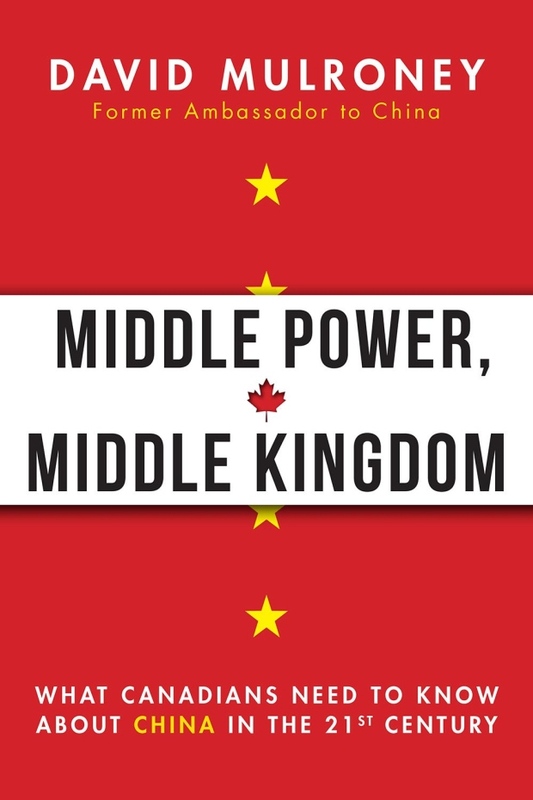 Cutting right to the heart of the issue, Middle Power, Middle Kingdom is an intimate account of how foreign policy works, and how policies must be changed if Canada is to prosper. 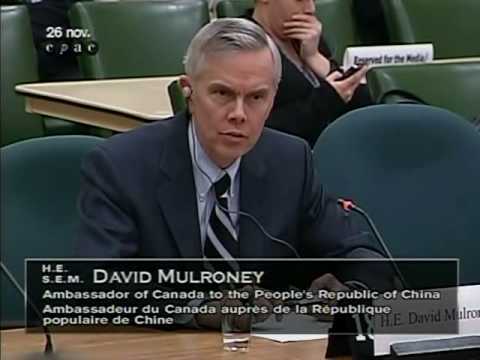 David Mulroney served as Ambassador of Canada to the People’s Republic of China from 2009 tom 2012. Prior to this, he served as the Deputy Minister responsible for the Afghanistan Task Force, overseeing interdepartmental coordination of all aspects of Canada’s engagement in Afghanistan. 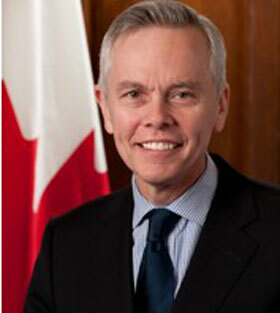 He is currently a Distinguished Senior Fellow at the University of Toronto’s Munk School of Global Affairs. On Sunday, March 15, Sarah Kutulakos Canada China Business Council’s Executive Director and Chief Operating Officer spoke on 'How Canada Needs to Be More Strategic in its Business Relations with China'. This is a very important topic given the large impact that China has on Canada and the rest of the world. Sarah has an MBA in marketing and she speaks Mandarin fluently. Before joining CCBC in 2007, she worked on a number of projects in China for a major multinational corporation. 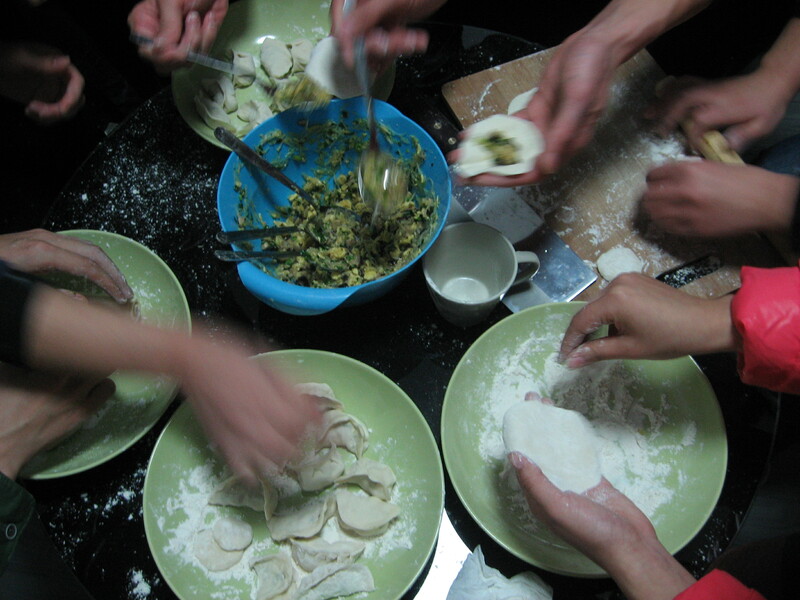 This year we revived the Jiaozi Party after a few years in hibernation. 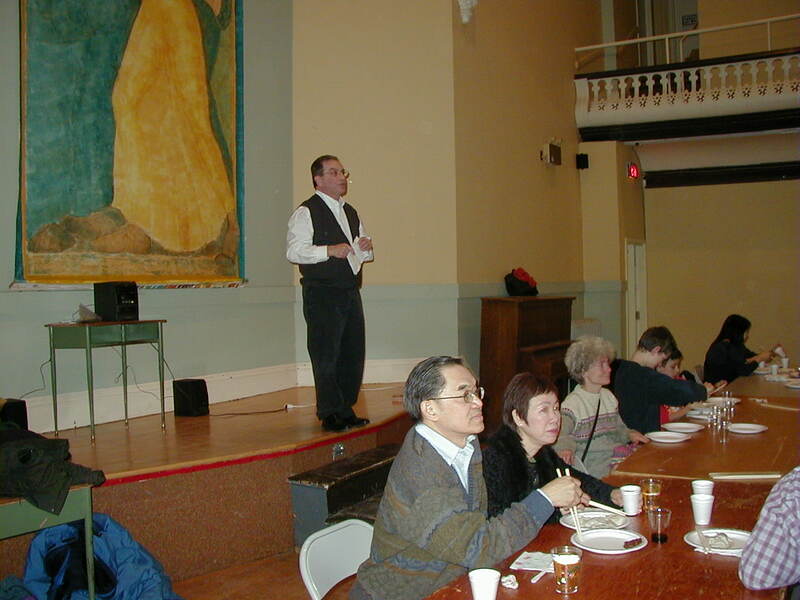 The event this year took place at the Downsview United Church. 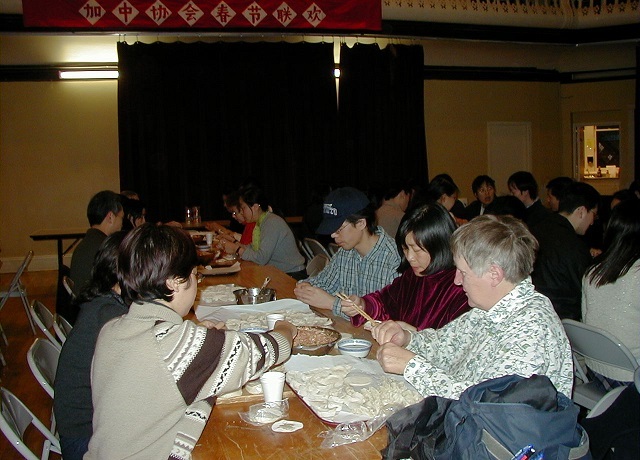 It is traditional to serve jiaozi at Chinese New Year. Join our celebration the end of the Year of the Horse and the beginning of the Year of the Goat (or Ram, or Sheep). The actual date of the New Year is February 19, the new moon; we start early. Jiaozi is the Chinese word for dumpling(s). Our recipe includes ground pork, ginger, cabbage, scallions and spices. A spoonful is wrapped in rolled noodle dough, many spoonsful in many wrappers, sometimes artfully, sometimes not quite so nice. Boil until just tender. 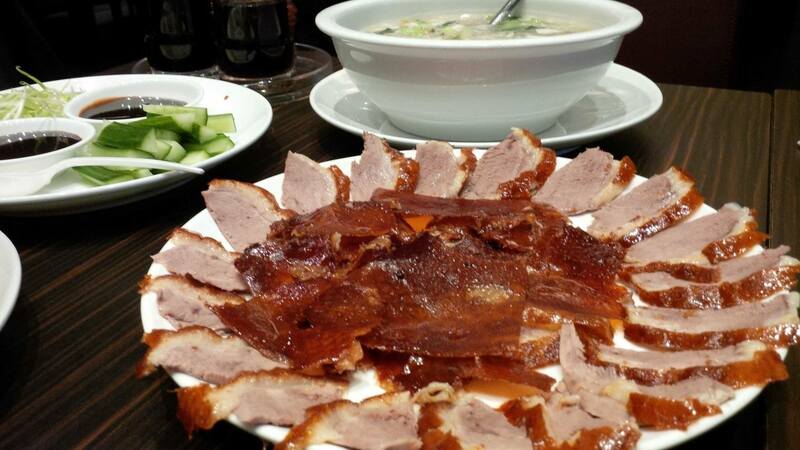 And serve steaming hot with a mix of vinegar, soy sauce, sesame oil and optional hot bean sauce (toban djian). Sunday, January 18, 2015 - 2:00 P.M. 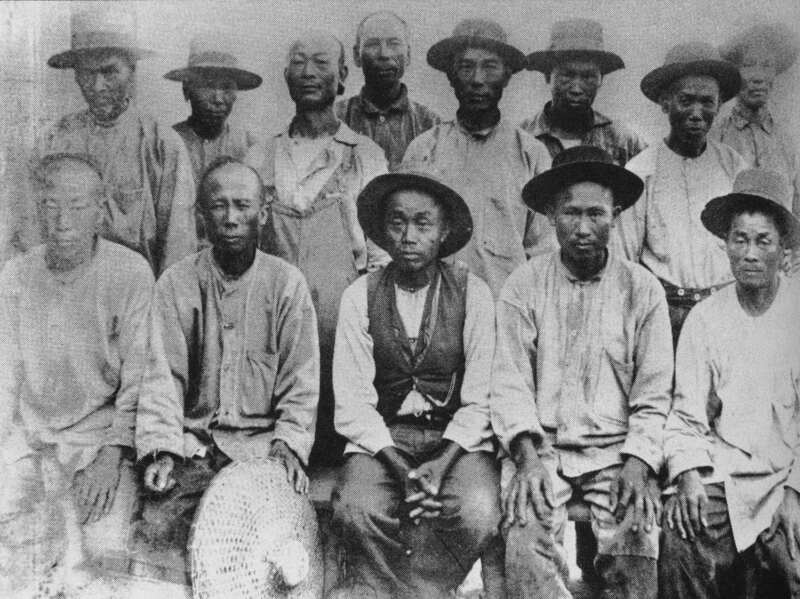 In 1854 the first Chinese indentured workers (coolies) arrived in Jamaica and Panama. 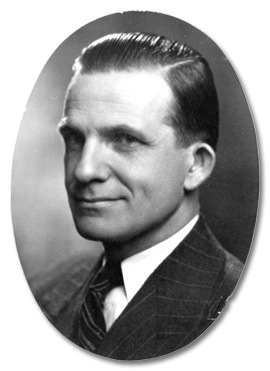 The Panama group were brought by an American company to work on the completion of the Panama Railroad; the Jamaican group were brought by the British Crown to work on sugar cane plantations. The Panama group suffered greatly from the tropical heat, cholera, malaria and yellow fever. Many of them left to for Jamaica to work on plantations there. Begun in 1850, the Panama Railroad (now the Panama Canal Railroad) was completed in 1855, shortening the routes from both Asia and California to the East Coast of the United States. After building the Suez Canal, a French company undertook to build a canal to replace the rail line. They were unable to complete the project. An American company took over the project and eventually completed the Canal in 1914. The current expansion of the Canal will allow more ships to pass through; in particular it will accommodate the new standard container ships. Harbours along the Gulf of Mexico and the American East Coast are being redeveloped to handle the anticipated increase in shipping. Jamaica is bidding to be a logistics hub for manufactured goods from China to headed for North and South American countries. Throughout history, ever lower transportation costs bring greatly increased international trade, as well as economic and political changes. 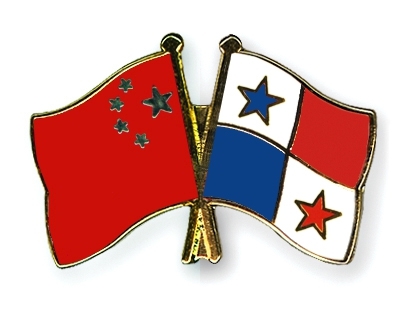 While Panama, with US support, is expanding the Canal, China is opening or expanding two other trade routes on its own. The first is the so called New Silk Road, a high-speed rail line to (and across) Europe to Spain that will move passengers as well as cargo. And they are expanding ports and navigation systems to allow larger ships in in South and East Asia. The New Silk Road and the Maritime Silk Road will greatly increase trade and travel and will have impact on China’s political and economic relations with many countries. This was a most interesting talk and we thank Dr. Lowe for a wonderful presentation. 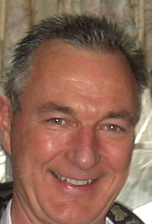 Our speaker, Keith Delroy Lowe was born in Jamaican into a Hakka Chinese family. His university education was in the United States, with a B.A. from Harvard and Ph.D. from Stanford. In 2000, he co-founded the quadrennial Toronto Hakka Conference, which will convene for the fifth time in 2016, July 1-3. He is a long-time member of TCCFA. 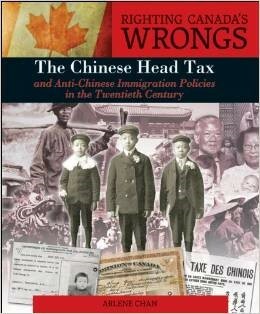 TCCFA supporter Arlene Chan launched her new book, Righting Canada's Wrongs: the Chinese Head Tax and Anti-Chinese Immigration Policies of the Twentieth Century on Wednesday, Nov. 12, 2014 from 5:30-8 pm, at the Lillian Smith Library, 239 College Street (at Huron Street). 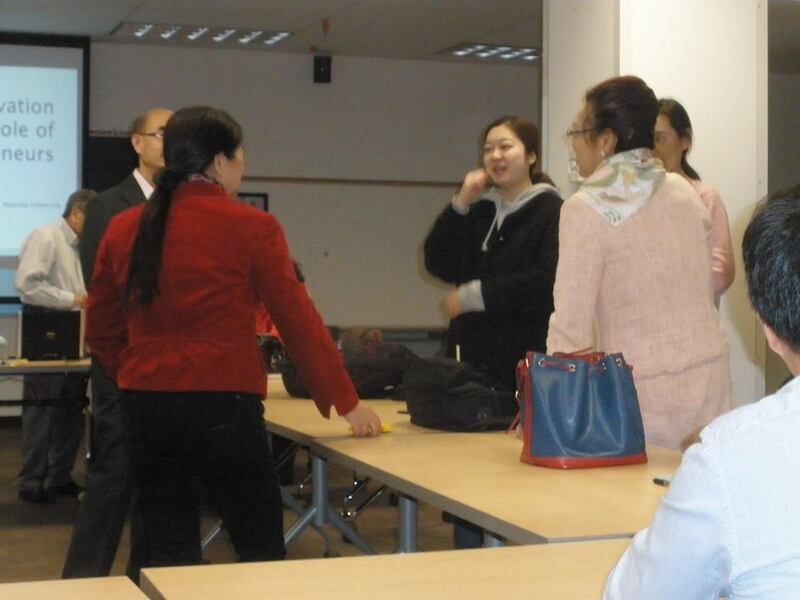 Arlene Chan was the speaker at our June 2012 meeting where she talked about her book The Chinese in Toronto since 1878. We thank everyone who came to Dr. Hagen's talk! Dr. Hagen teaches in the Department of Surgery at the University of Toronto’s Faculty of Medicine, and is an attending surgeon at Humber River Regional Hospital. 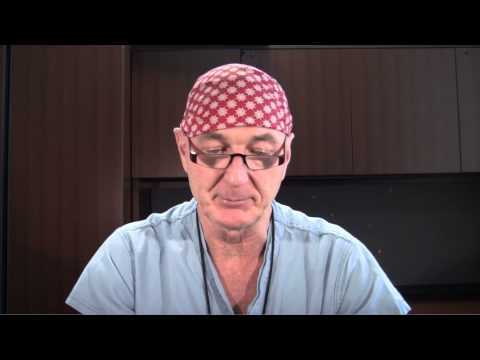 His medical degree is from the University of Alberta and he did his Surgery Residency at U. of T. He has done specialty training in New Zealand, Japan and England. 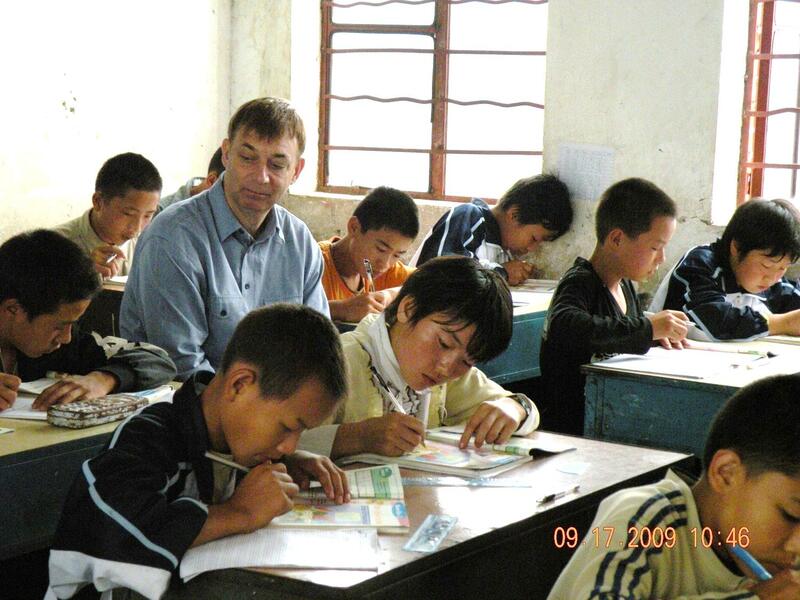 Dr Hagen visited China in 2012 (Heilongjiang, Shaanxi, Hunan, Guangdong), 2013 (Guangdong, Fujian) and 2014 (Guangdong, Fujian, Zhejiang). These were short trips packed with activity, participation in medical conferences, giving talks on a number of topics, live demonstrations of surgical techniques, and even performing surgery. The old London show-tune proclaims It’s a Long Way to Tipperary (from London to Ireland). From a childhood in the Northwest Territories to Chief of Surgery at Humber River Hospital, to lecturing about, and performing, surgery in Manchuria near the Inner Mongolian and Russian borders, with many stops along the way, Dr Hagen has travelled much, much further. Dessert Fish (Patterned Mango pudding). We thank everyone who attended this event and came to hear Kyle's presentation. Long-time Association member Kyle Jolliffe spoke about his visit to Chengdu from September 2013 to January this year. He studied Mandarin Chinese at Sichuan University in Chengdu. 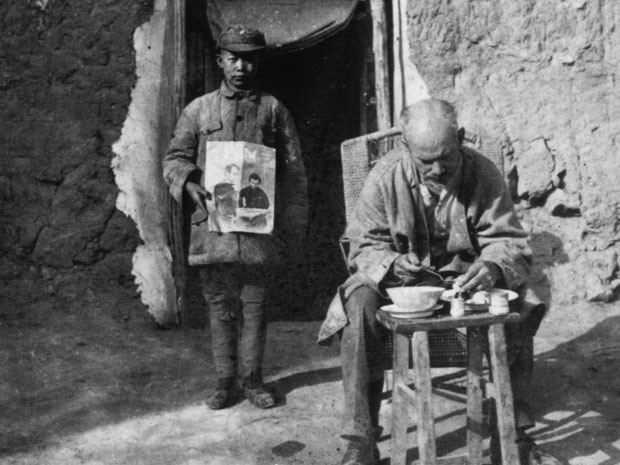 This was something of a Roots experience for him; both his parents were missionaries born in China, themselves children of United Church missionaries in Sichuan. 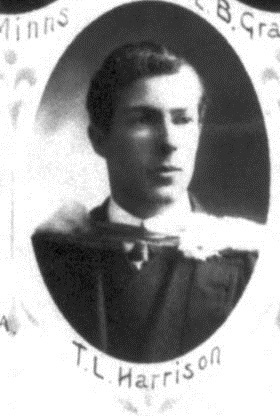 His uncle, Ted Jolliffe, was also born in China. 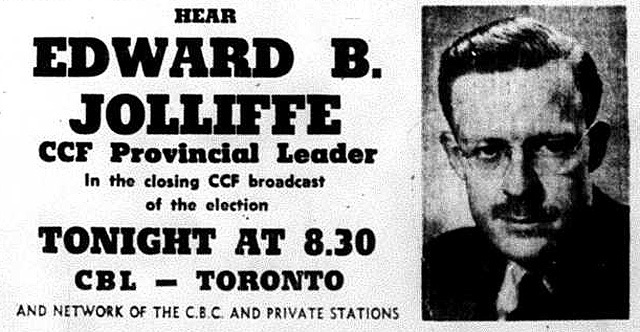 Ted was the wartime leader of the Ontario CCF (now NDP). Kyle has an MA in History from Queen’s, has written a number of books and articles. He works as a paralegal. We thank Olivia Chow who came out as our guest speaker and spoke about her service as a City Councillor and as a Member of Parliament, and about serving the Chinese and other ethnic communities. 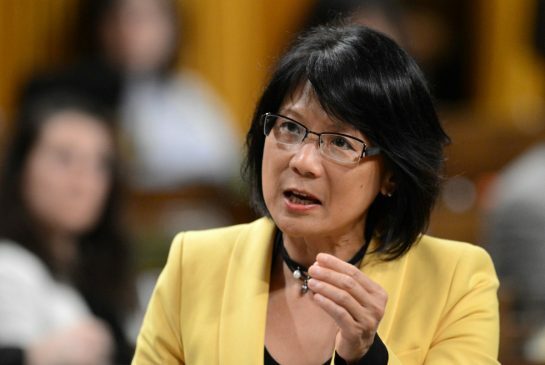 Olivia Chow has been a Member of Parliament, city councillor and school trustee. She’s a grandmother and daughter. She moved to Toronto from Hong Kong in 1970 when she was 13, working two jobs to help her family make ends meet. After graduating university, Olivia taught English as a second language and worked to help newcomers settle in the city. In 1985, she was elected to the school board. She married Jack Layton in 1988, and helped raise Mike and Sarah Layton. She was elected to the former Metro Council in 1991 and 1994, and to the new city of Toronto’s council in 1997, 2000 and 2003. Former Mayor Mel Lastman appointed her to the budget committee and also named her the city’s first child and youth advocate. She was key in getting the 911 service to work in 140 languages.